In addition to being a zealous advocate for her clients, whether in a courtroom setting or negotiations between Parties, Ms. Urukalo offers loyalty, sensitivity and skilled experience in helping her clients achieve their goals during challenging times. Ms. Urukalo has served as “Lawyer for the day” and has been appointed as Discovery Master in Massachusetts Family and Probate courts. Ms. Urukalo is a licensed Attorney in Massachusetts, Michigan, and Illinois, and admitted to practice law in the U.S. District Court of Massachusetts and all U.S. District Courts of Michigan. She received her B.A. Honors Degree from the University of Windsor in Ontario, Canada and obtained her Juris Doctor from New England School of Law Boston. Ms. Urukalo interned with the Greater Boston Legal Services domestic abuse divorce department and has been involved with the Big Sisters of Boston Association. 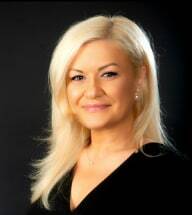 Prior to focusing her practice in family law, Ms. Urukalo also practiced real estate and bankruptcy law.